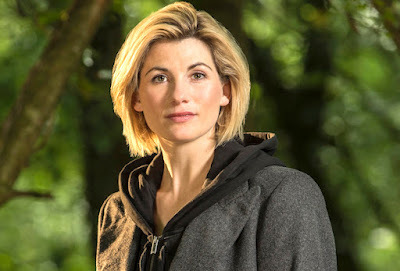 This week brings with it some pretty monumental news, as we not only get to talk about the announcement of the 13th Doctor on Doctor Who, but that Jodie Whittaker will be the first woman to take up the iconic role. It’s a huge moment for the series, an exciting one that brings so many possibilities, some of which we ponder here. Sean also talks about the Destiny 2 beta, Jonathan looks back on the second season of Broadchurch (a show written by upcoming Doctor Who showrunner Chris Chibnall and co-starring upcoming Doctor Jodie Whittaker), and we break down a bunch of interesting news from the past week. And finally, we dive into the dark, wonderful, surprisingly sexual insanity of Twin Peaks: The Return Part 10 in our weekly spoiler-cast segment.